Public relations is much more than just sending out press releases about company products and events and hoping to get traditional media coverage. In today's high tech world, your PR efforts have to move faster and appeal to a wider audience that includes bloggers and social media influencers in your field. 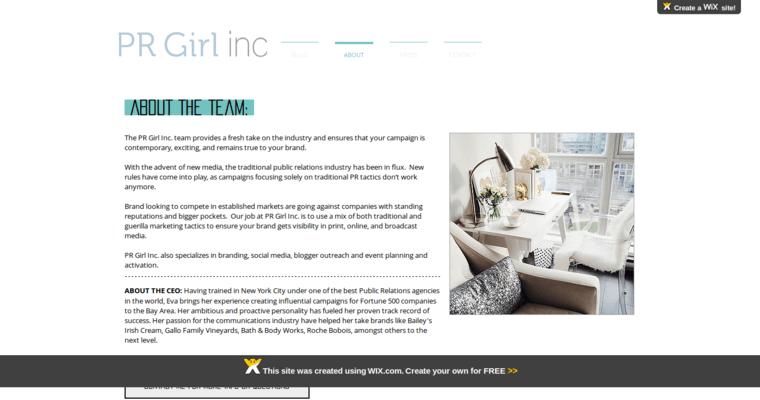 Working with a top tech PR firm like PR Girl Inc. can help ensure you meet your PR needs. PR Girl Inc. uses a mix of guerilla and traditional marketing strategies to help your company get the recognition it deserves in both traditional and new media. The company also has expertise in branding, event planning and social media outreach. PR Girl Inc. can help meet all your PR needs -- both new and traditional -- so check out what the firm has to offer.